Varsity boys and girls tennis at Lowcountry Preparatory School have traditionally been competitive at the regional and state levels. Students in sixth through twelfth grades are eligible to compete on the tennis teams. Girls’ varsity tennis practices at the DeBordieu Tennis Center. 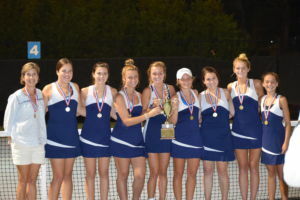 The girls’ varsity tennis participates in the SCISA fall tennis season. Boys’ varsity tennis practices take place at Litchfield Country Club. The boys’ varsity tennis team participates in the SCISA spring tennis season.